To empower our community with tools, training, and resources to become an effective network that will champion bleeding disorder quality of life initiatives in the New England states - Connecticut, Maine, Massachusetts, New Hampshire, Rhode Island, and Vermont. The New England Bleeding Disorders Advocacy Coalition (or NEBDAC for short) was formed in 2016. NEBDAC was the result of the combined efforts of all six New England states, along with the additional efforts of the New England Hemophilia Association (NEHA), Hemophilia Alliance of Maine (HAM), and Connecticut Hemophilia Society (CHS). NEBDAC grew out of a 2016 New England Leadership Summit held in Portsmouth, NH. Hosted by HAM and facilitated by the National Hemophilia Foundation (NHF) this inaugural event brought together current and future leaders of the New England (NE) region to form a collaborative partnership to develop larger, longer, transformative and sustainable projects and programs. Many board members were in attendance from all three of the NE chapters - CHS, HAM, and NEHA. During that event, two collaborative activities were identified and given high level priority: (1) Regular meetings among the Executive Directors (EDs) of the three chapters, and (2) Form a collaborative advocacy coalition. Soon after, NEHA hosted a stakeholder meeting on October 12, 2016 in Dedham, MA that brought together the Executive Directors, Board Presidents, and advocacy leaders from NEHA, HAM, CHS, policy advisors from National Hemophilia Foundation (NHF), Hemophilia Federation of America (HFA), and industry state-based government affairs liaisons. During this meeting, the Coalition formed. Each Executive Director from NEHA, HAM, and CHS appointed two state lead ambassadors to represent all six of the New England states. In addition, NHF, HFA, had two representatives from the Hemophilia Treatment Centers (HTCs) sit on this group. Lead ambassadors help to monitor legislative bills, petition their respective states to declare March as Bleeding Disorders Awareness Month, participate in monthly calls, etc. Through ongoing discussion among the Executive Directors, it was determined that NEHA (serving as fiscal sponsor and CHS and HAM provided letters of support) would apply for all advocacy grants. In April of 2016, NEHA welcomed Richard Pezzillo as their new executive director. Richard previously worked for over four years as the Hemophilia Federation of America’s Communication Director and over five years as U.S. Senator Sheldon Whitehouse’s press secretary. Richard has over 15 years of leadership experience in the bleeding disorders community and is the former co-chair of the National Hemophilia Foundation’s National Youth Leadership Institute (NYLI), the recipient of the Ryan White Meritorious Service Award, and the American Homecare Federation Outstanding Community Advocate Award. 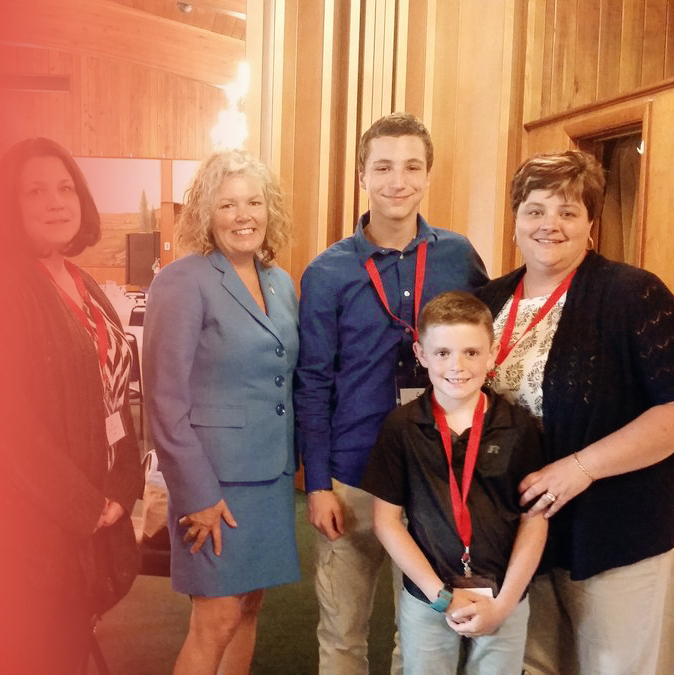 Jill has been a part of the bleeding disorders community since 2008 when her son was born with a bleeding disorder and in 2010 when she co-founded the Hemophilia Alliance of Maine. With over 20 years of experience working with collaborative projects, communities, and organizations, Jill served on the Board of Directors of HAM as Founding President and co-founded the national Care Access Working Group (CAWG) that created the Bleeders’ Bill of Rights. She is the recipient of the American Homecare Federation Outstanding Community Advocate Award and the New England Hemophilia Association's Advocate of the Year award. Maryann is a single mother of an adult son, Max, with hemophilia. Maryann has always held the bleeding disorders community close to her heart. Before stepping in to the role of Director she had been an active board member of CHS, a NEHA volunteer, NHF and HFA participant, a member of COTT, and also has been an advocacy contributor at Washington Days. If you are lucky enough to know Maryann, you know what a friend and confidant she is to so many. Maryann brings her passion for service to the table, and her gift of compassion for others makes her a perfect fit. Maryann is articulate, well read and she will stand up for what she believes in, our community. In June 2017, Joseph Zamboni joined NEHA as the New England Bleeding Disorders Advocacy Coalition (NEBDAC) Coordinator. Joseph has extensive experience with Medicare and Medicaid, complex and rare disorders, and medically complex patients. He has practice educating the Maine Legislature and general public about Long-Term Care issues and the patient perspective. Joseph volunteers for the Maine Medical Malpractice Screening Panel and is currently adjunct faculty at the University of New England and UMass Amherst.